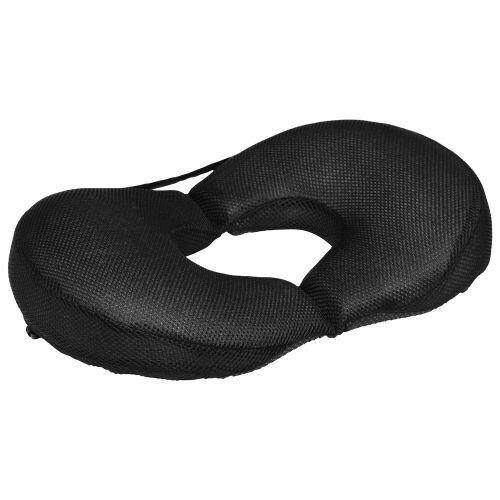 Black Travel Cushion - SHIPS FREE! 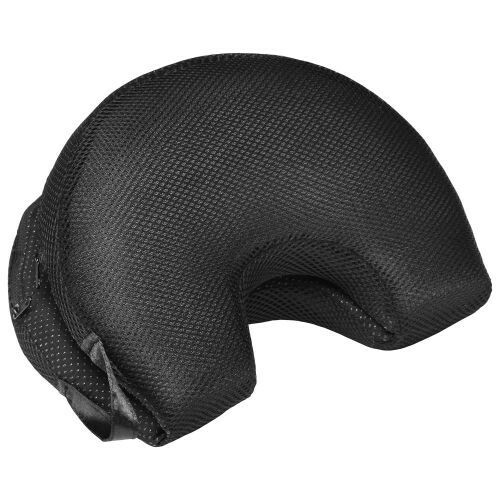 The Personal Care Products 6237 Travel Ring Cushion is designed to reduce lumbar and tailbone pressure when sitting for long periods of time. The molded ring contours with the body which relieves pain for avid travelers sitting for long periods of time or for individuals needing added support due to chronic back pain or a tailbone injury. The cushion is also ideal for women recovering after childbirth. Use at home to relieve sore pelvic muscles and ligaments when sitting. The ring cushion brings valuable pressure relief for hemorrhoid sufferers as well. The Travel Ring Cushion has a side handle and folds up for portability and storage. The cover can be removed with a zipper and is machine washable.